Scheduling BMW Or MINI Maintenance? 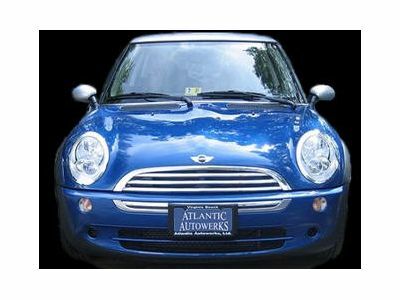 Take Care Of Your Certified Virginia Safety Checks | Atlantic Autowerks Ltd.
Is it time to schedule annual BMW & MINI maintenance? Virginians are used to having a safety check done annually, we recommend combining that this November with some winter preparation as well. Here at Atlantic Autowerks we can take care of these services for you. Why not schedule a winter maintenance visit where we can make sure you're on schedule and include your inspection in the review? We're certified with the state and happy to help keep your inspection up-to-date. We're Here To Help. We can walk you through any issues that might be an issue during your inspection. Our job is to keep you on the road, and we'll help you get through the inspection and registration process efficiently. If you're new to Virginia, we can explain the process and what you'll need to do when you're getting your car registered for the first time. Lights On For Safety. We see quite a few vehicles that come in and need to have work done on their headlights in order to pass state inspection because the lenses are too cloudy. There are several solutions to this problem. Some care owners replace the headlights to fix this, but you can also get these lights cleaned up. You may also choose to swap out your headlights for a newer model with LED lights for better visibility. If your headlights don't pass the safety check, we can help you choose new lights, or we're happy to recommend Hampton Roads Headlight Restoration. If you'd like to keep your car as original as possible, they specialize in headlight restoration and even guarantee amazing results. For extra convenience, they are a mobile service, so they will come to you. Our goal as a service station is to provide the services you need so that you can focus on why you drive a BMW or a MINI - the amazing experience of driving these machines. Contact us to schedule you next maintenance & inspection.